FriendGrief: Would You Tell Your Friends That You’re Dying? We’ve all done it, unconsciously, and with no malice intended. Perhaps our friend tells us that they’re dying. Perhaps we hear the news elsewhere, and then see the person later. But anyone who’s been seriously ill, or is dying, can tell you that they get “The Look”. You don’t mean to do it. 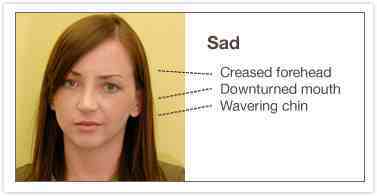 In fact, you might think the expression on your face is one of love and support, successfully hiding the shock and pain you feel inside. Unfortunately, it’s often interpreted as pity. I’ve read stories of people who were dying and kept their diagnosis secret specifically because they didn’t want to see “The Look” on their friends’ faces. I know people who have isolated themselves, refusing visitors, because they don’t want to see it. They’re afraid their friends will act differently, too. We’re all used to the way we interact with our friends: joking, teasing, rowdy and outrageous. But in study after study, people who are dying insist they want to be treated the same way: be concerned, don’t be afraid to ask questions, but don’t treat me like a baby. They want you to continue to be their friend - the same as always - without dissolving into a puddle of tears every time you look at them. And honestly, you want the same thing, too. But there is a special pain reserved for friends who are kept away, either by the friend who’s dying or their family. You may have felt it yourself. Not fun, is it? “I didn’t know they were sick.” Wouldn’t you love to have a copyright on that phrase, and make money every time someone said it? It’s hard enough to cope with the death of a friend, but harder still when you’ve been kept out of the loop. It makes you question just how much of a friendship you had with them. As shown in the movie “50/50”, this can put a huge burden on the patient. They feel responsible for the happiness of those around them. They hold in their feelings, so as not to burden their friends and family. It’s a very human, loving reaction, but how sad to be unable to express yourself honestly when the end of your life is approaching. Don’t let that be your friend. And don’t let that be you. You've done it again- thank you. With my most recent friend bereavement, the family (her mother) left it a week before I was informed. Complete kick to the gut, because I had only ever had half an inkling. (My friend battled with anorexia...I knew, I guess, that she didn't really want to be here that much after her fiancé passed, but somehow she stuck around for a further three years.) This resonates, your anger post resonates. In a way, it's like having coffee...thank you. I've recently had a friend pass away. I knew she was dying, too. I did what I could, but I knew that I wasn't her only friend so I had to step aside so that everyone else could serve her. I will make sure to do better with her family. Thank you both. This kind of news is not the kind of surprise anyone likes, and you feel the effects of it for a long time. My husband's parents did not tell anyone his mother was terminal. We found out she was dying AFTER the fact. A tragic mistake in my opinion. So many missed opportunities to say goodbye. So many lost chances to say "I love you". A good friend with cancer was just the opposite. He summoned everyone to his bed. He cheered US up. He told us to have a wonderful life, and that he'd always be with us in spirit. Two people. Two completely different approaches. One gave me hope to be a better person. One made ME understand and accept that death is an intergal part of life. Look or no look, I'll tell. My mum chose not to tell anyone for the exact reason you wrote about...in her words, "They'll have pity on me and have me in the grave before my time." And while I honored her wishes of keeping her terminal cancer a secret, I now deal with the fall out still of her best friends who never got the chance to say goodbye... But if in the same situation, I would respect her decision to die with dignity. Your blog is wonderful and will help so many...I've enjoyed reading it today. A dying person needs all the love and care that he/she needs. I would tell my definitely tell my friends so they could make my remaining days the absolute best. I'm a great believer in sharing this kind of news. It's hard on everyone, but it also helps avoid even greater pain later on. I think as a friend interacts with a dying or very sick friend over time, the awkwardness, including "The Look,", will dissipate. It takes time for both parties to adjust to the new relationship. My first true love when I was 18, recently died of cancer in January 2014. I found out 6 weeks after the fact. We are both in our 50's now. For some reason, I was kept out of the loop of her cancer condition. I have been crying and grieving for the last 5 days. Crying, because I did not get the chance to say goodbye. Here is my favorite quote from your article. Thank you for those words I have been searching for the last five days. Maybe I can begin to move past this now. After all, it is not about me is it? I think it is about you, as well as the one who died. We, the grievers, are the persons who are around to feel the pain. 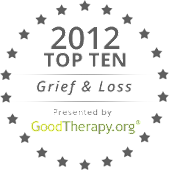 As I learned as a hospice chaplain, grieving zigs and zags (good/bad days) and can last many months or even longer. How do you tell someone you love you're dying? I've tried but I can't seem to make it clear. I'm in love with my best friend but don't want to change our relationship just because I'm dying. I'm 46 with severe COPD and a heart defect. She knows about these but gets mad if I talk about it. I know my time is getting real short and I'm scared for her and my mother. They're all the family I have. I’ve experienced this two times in the last year and a half. In September 2017, a friend I’ve known for 20 years died of cancer. I was included in a tiny group of 3 people who knew she was sick. I kept her secret out of respect for her wishes, but I still anguish at the pain I saw in others who were not looped in. Then this past Christmas Eve 2018, yet another friend passed from cancer. She was a good (and I thought close) friend for 25+ years. She chose to tell only two people. I was not looped in. I did not know she was even sick, let alone dying. I found out about her death yesterday 12/26/18. I’m just numb. I’m trying not to feel hurt, as it wasn’t about me. It really hurts to find that someone was dying, only after they have passed. It really hurts. I don’t know what else to say.